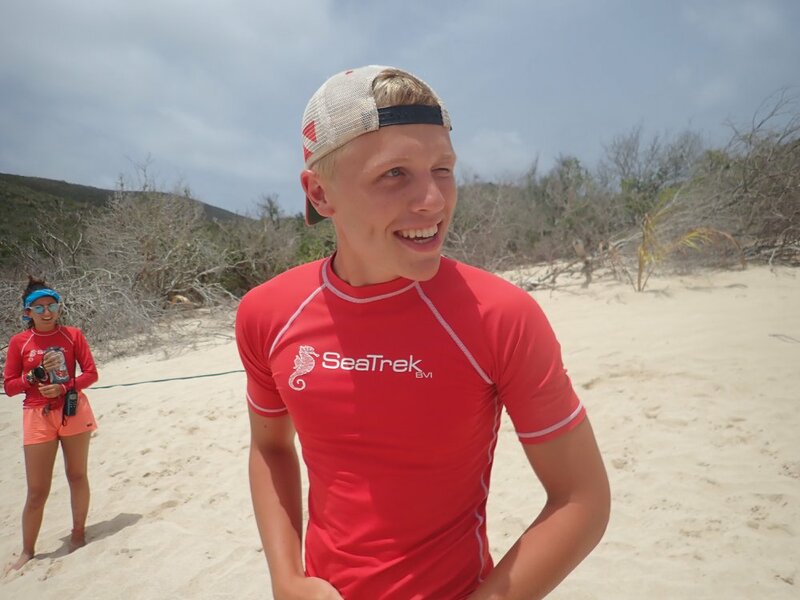 Set in the crystalline waters of the British Virgin Islands and wider Caribbean, SeaTrek voyages offer young people unmatched opportunities for adventure and personal growth. Previous sailing and SCUBA experience is not required. Our staff is the best in the industry, having years of experience teaching and guiding students all over the world. Our SCUBA and sail training instruction is second to none. NAUI employs a student-friendly teaching method that encourages new divers to build confidence and achieve above and beyond the required skill sets. Guided by our professional staff, students are immersed in hands-on sailing, SCUBA, and marine science instruction. Combined with water sports, hiking, kayaking, and shore excursions, SeaTrek students are guaranteed to have the adventure of a lifetime. 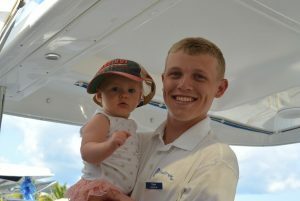 Andrew aka “Hutch” Hutchins joined SeaTrek BVI as a student five years ago. He has dreamed of being a diver from a young age and has made many impressive accomplishments during his time at SeaTrek. We are very thankful for his willingness to share his story, and wish Drew the best of luck in his future endeavors! Hey, my name is Andrew Hutchins, I’m 19 years old, and I was born and raised a proud Kentuckian! I’ve always enjoyed being in and around water, especially our family trips to Myrtle Beach, South Carolina and Florida over the summers growing up. But my love for the water changed dramatically the day my dad saw an advertisement for a diving camp called SeaTrek BVI and asked me if I would be interested in going. It had been my father’s dream to go diving like former United States Navy frogman, Mike Nelson, from the television show Sea Hunt. Unfortunately, my father never had a chance to complete that dream, so he gave me the chance. My first trip with SeaTrek BVI was in 2013, I was 13 years old. That year I received my Jr NAUI Open Water certification. I was hooked after that summer and knew I wanted to continue my diving education. Since 2013, I continued to return each summer, advancing in my certifications. I received my NAUI Master Diver and Rescue certifications in 2016. In 2017, I applied for an intern position within SeaTrek and was excited to be selected! While taking on all of the responsibilities of an intern, I also worked toward earning my NAUI Divemaster certification. It was a very busy but rewarding summer! Moving into a leadership role as an intern and also as a NAUI Divemaster taught me how to be responsible for others and handle many different situations, which will help me with my Navy career. My father had served in the Navy, however, I had never given much thought about joining the military. My senior year, tired of hearing my parents constantly asking me what colleges I was looking at, I decided to call a Navy recruiter. After talking to my recruiter and doing some research, I decided to swear into the Navy. In the Navy, diving is considered a Special Warfare program, like Navy Seal, or Air Rescue Swimmer. To get into these programs, you are required to have perfect vision, hearing, and be able to pass the minimum physical standards for the Special Warfare community. This includes a timed 500-meter swim, 2 minutes of push-ups, 2 minutes of sit-ups, go until you drop pull-ups, and a 1.5 mile run all back to back. I have never been a very physically fit person, but after training for 6 months I achieved auto qualifying scores to get into my dive program, but it didn’t end there. My scores were combined in the “draft” with everyone across the country going for the diver program. I am excited to announce that my name was recently selected and I will be shipping to Great Lakes Chicago May 28, 2019! Wi thout SeaTrek being in my life for all of these years, none of this would have been a possibility. I now have an abundance of opportunities due to all of the skills I gained at SeaTrek. I am doing something I truly love and I would not have been able to do this alone. Capt. Monk and his wife Kat have truly been family to me, and have created a program that teaches kids life lessons that they will use and need for the rest of their lives. My favorite part of SeaTrek would have to be the way students are taught. SeaTrek celebrates hands on experience that you can’t get in a normal classroom. I can still remember my first reef fish ID I did back in 2013. Being able to look at something in a book and then actually seeing it in the wild was a mind blowing experience for me. I’ll never forget it.